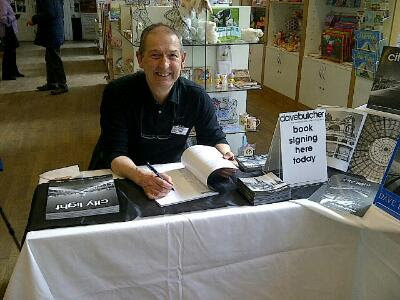 2 More Days Book Signing in Buxton! I was so busy book signing yesterday that I have decided to do 2 more days, today and tomorrow. 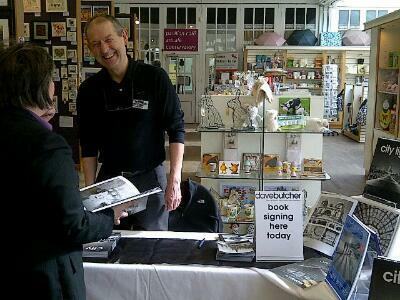 If you’re in Buxton come to the Pavilion Gardens Tourist Information Centre. You can’t miss me, I’m right by the TIC/till area. Despite suggestions yesterday that my signature was too cheap it remains free with every book bought! I have all 4 books here. City Light is £ 15, Peak Light, Lake Light and High Light are £10. I’m here 10am to 5pm both days. Jan is running our stand in the Easter Fair in a different part of Pavilion Gardens. Lots of pictures and show prices. Over 70 exhibitors selling art, craft, food and drinks!